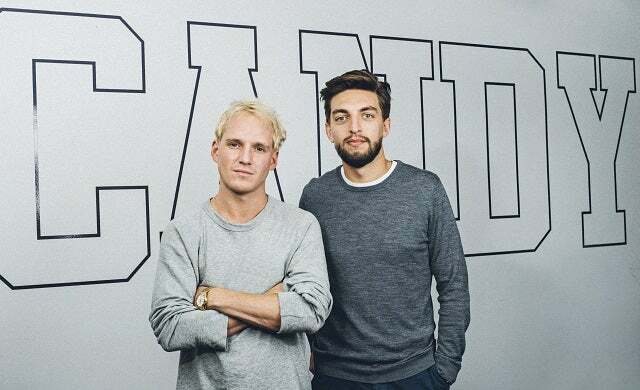 Having dreamed of becoming a real life Willy Wonka since he was a boy, it was almost inevitable that Jamie Laing’s first entrepreneurial endeavour would be in the confectionary market. Laing’s family already has some illustrious confectionary pedigree – he’s related to Sir Alexander Grant, the man credited with creating the first ever digestive biscuit as an employee of McVitie’s in 1892. Looking for a gap in the market, the now 27-year-old Made in Chelsea star realised that sweets hadn’t grown up with him and spotted an opportunity to reinvigorate the somewhat dated industry. Together with Edward Williams – an industrial design graduate who’d previously owned a design and branding business – he started Candy Kittens, a producer of gourmet, real fruit-based, gluten free sweets. Launched in February 2014 with £500,000 in start-up funding from friends and family, Candy Kittens turned over £700,000 in 2015 just a year after launch and is on track to hit £1.5m this year. Its range of natural sweets is now available in Tesco, Waitrose, Sainsbury’s, Topshop and Selfridges, as well as several independent retailers and via an online monthly subscription service. An impressive start for a high-end confectionary brand, and a sign that it could well break the mould and become a household name within an already crowded sector.